Hello everyone! 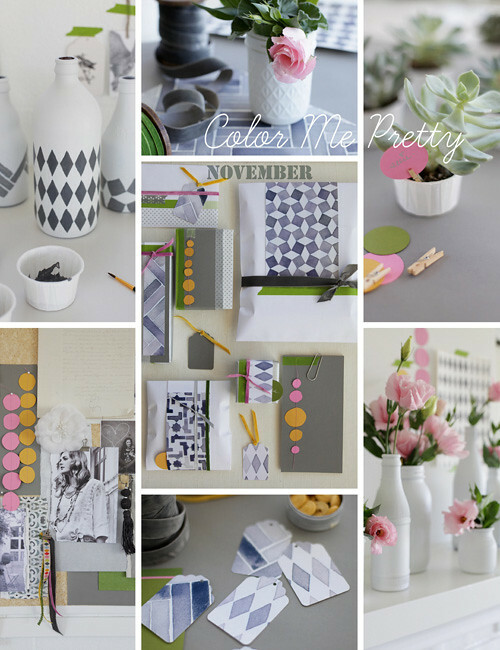 I am so pleased to share with you Color Me Pretty for November, styled and photographed by decor8 contributor Leslie Shewring from A Creative Mint. We skipped October to give Leslie some time off as she was traveling but now we're back on schedule with her monthly columns and surprise! 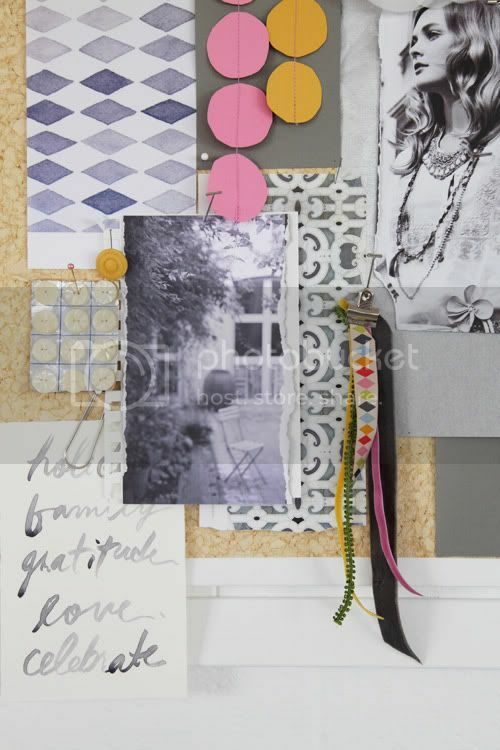 Leslie will continue her column here on decor8 for 2011 so you have lots of CMP inspiration ahead of you. 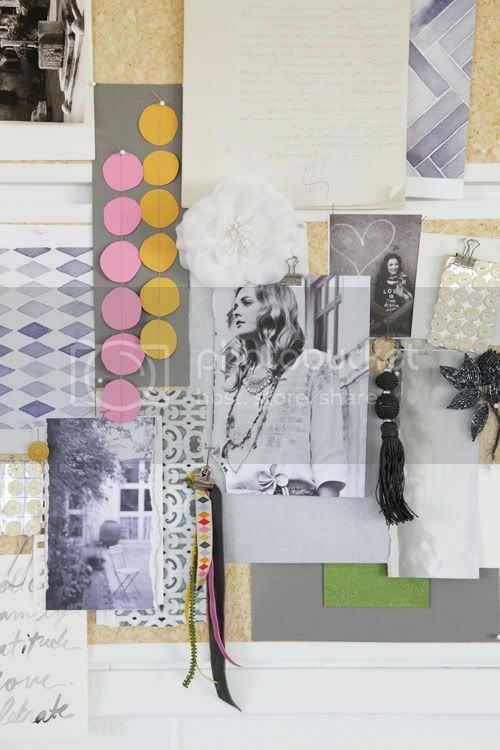 And remember, if you missed any of her work on decor8 in the past you can simply click here to view all of her color stories for lovely palettes that may inspire your next project, room scheme, party, outfit -- whatever you fancy! And so with that, Leslie, take it away! Hello Friends, it is Leslie here with Color Me Pretty for November. Last month I joined Holly in Morocco at Peacock Pavilions for a wonderful week of creative time organized by Angela Ritchie of Ace Camps. The gorgeous surroundings decorated to the nines by Maryam got me really inspired to continue painting yet more Moroccan patterns. It is kind of addictive and as you may know I have done a couple Color Me Pretty series in the past inspired by Moroccan patterns. They don’t get old for me but I do hope I am not boring you with more! To keep it fresh I used a warm grey for the patterns and then added a little golden yellow, dark olive green and pink to the mix. I really hope you enjoy the combination. 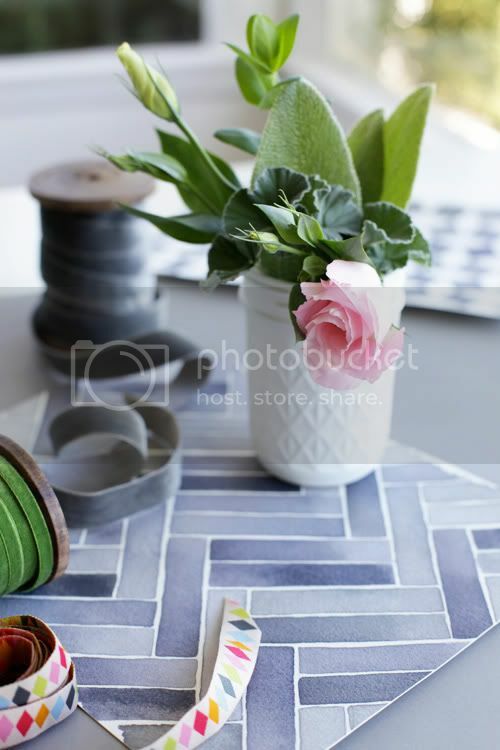 I have tried to use the patterns for some crafty little projects for you. 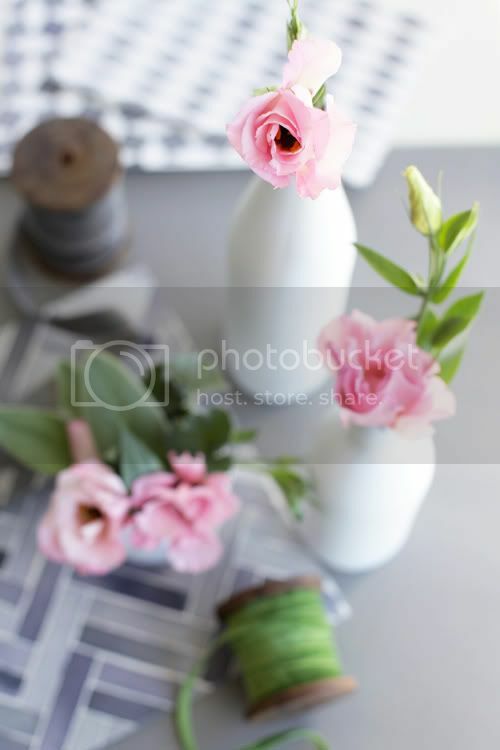 With holiday entertaining time upon us, I thought I would spray paint a bunch of old glass bottles and jars to make an interesting floral display for the table or mantle. 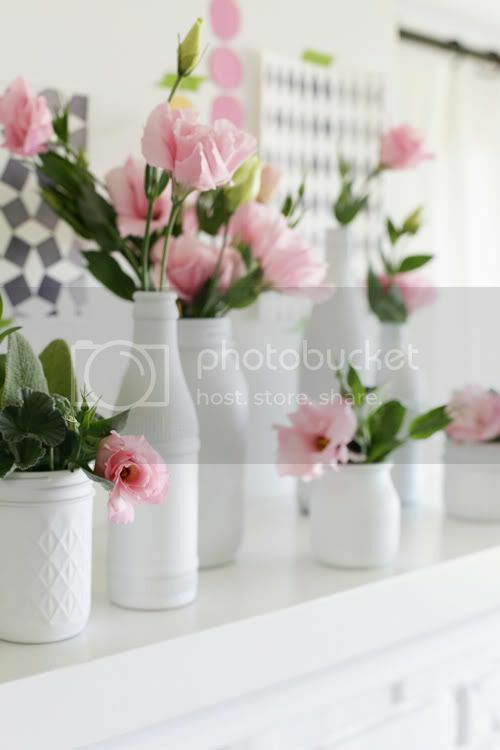 I can imagine them filled with red berries or evergreens, however I used a bunch of Lisianthus this time. 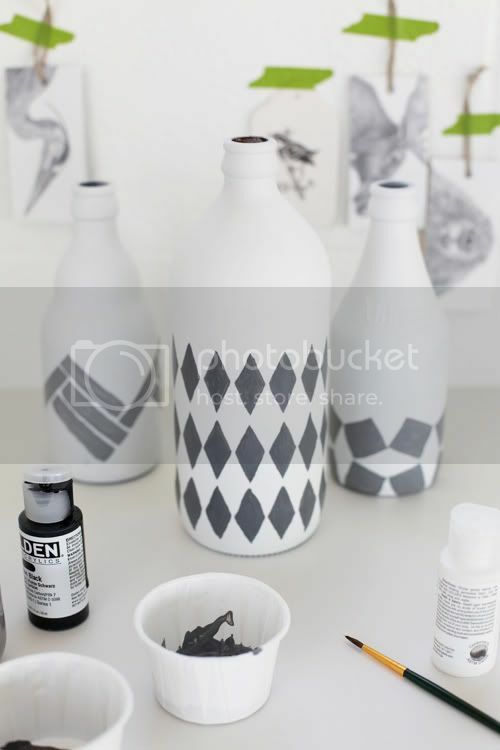 After I had finished spray painting the bottles I couldn’t help but paint a few with some tile patterns. You could really apply any pattern to the finished painted bottle. I used acrylic paint for the pattern and a matte white spray paint for the glass bottles. Metallic paint would also be lovely to use for the holidays. I thought it would also be nice to give you some more wrapping inspiration. I took photographs of my water colored painted patterns and then printed them out on matte photo printer paper. I then used the printouts for wrapping accents and for some tags. I use a Marvy Uchida craft punch for the tags. 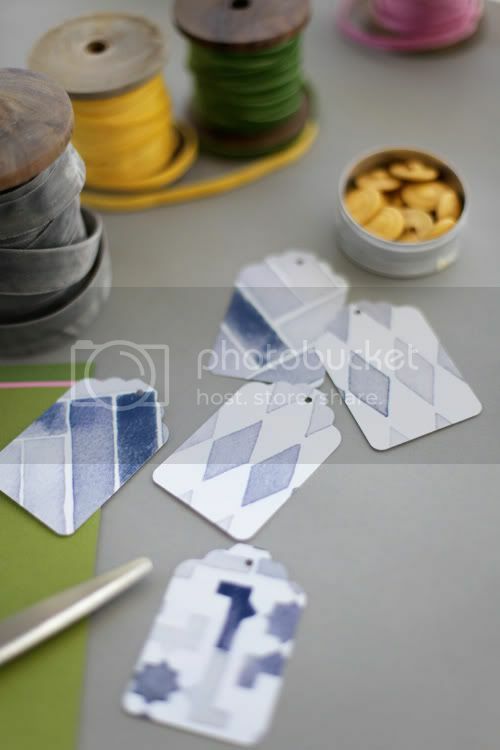 I love it because I am able to use up scrap paper for the tags. I also use catalog envelopes that have an adhesive strip for my wrapping because they are fast and simple. 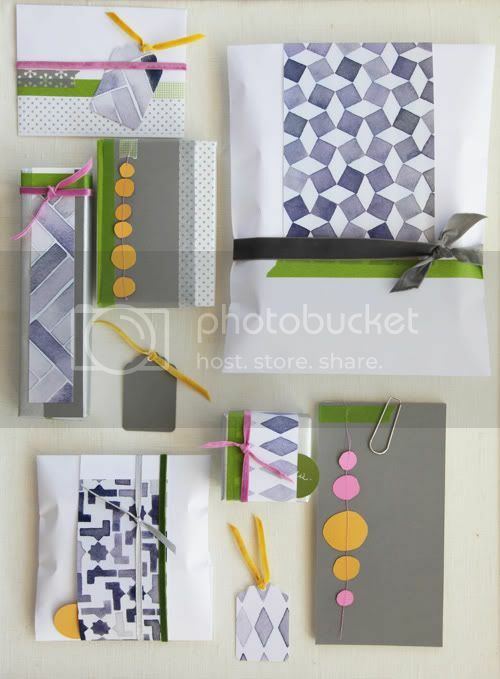 You just pop your gift into a large envelope and then fold over and seal where needed. No taping! Then you can just decorate them as little or as much as you want. The envelopes are readily available in 6”by 9”, 9”by 12” and 10” by 13”. If you are interested in learning more about Moroccan patterns a fabulous but pricey book called Zillij The Art of Moroccan Ceramics is excellent. Lastly, I used some “Nut and Party Cups” from Michael’s to hold some mini succulent plants I picked up for under a under a dollar each. I thought they made a sweet inexpensive display or gift. 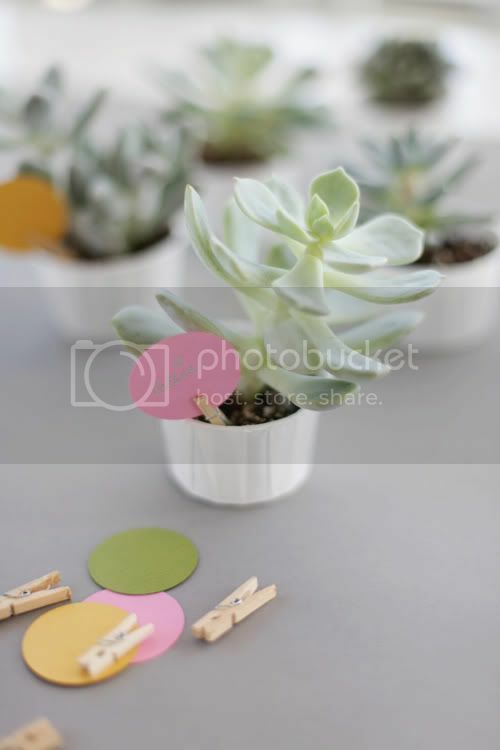 The cups could be cute with many different kinds of plants in them and you can easily punch a hole in them for drainage. I will be back next month with many more ideas for you in a holiday inspired Color Me Pretty post. Until then Happy Thanksgiving or Happy November and thank you for joining me here today. - Leslie.